Gold and silver technical analysis can be a very large and confusing subject. Technical analysis can seem just too difficult to the new gold and silver buyer, so many people just ignore the topic altogether. But it needn’t be this complex. We’ve written this Gold and Silver Technical Analysis Ultimate Beginners Guide to simplify this topic down to the core basics. What are the benefits of technical analysis in gold and silver? Is technical analysis any use in manipulated markets? This is completely different to fundamental analysis. Where instead we research reasons to buy (or sell) a financial asset based upon its intrinsic value. But using quantitative and qualitative data to do this. How Does Gold Compare to Shares For the Past 100 Years? So what are the benefits of gold and silver technical analysis? You can likely save more money (or buy more gold or silver for the same amount of money) simply by buying at better times (i.e. when the price is lower). Compared to what you can likely save by spending hours shopping around to save a few dollars per ounce from one dealer to the next. Technical analysis done right can help you buy at these better times. Gold and silver technical analysis may help with deciding when to sell. On a long term basis at least anyway. Trading in and out of physical gold and silver regularly is not a great idea as the buy sell spreads (difference between price to buy and price you get when selling) is much larger than say shares, options, or futures. May save you from “paralysis by analysis”. It’s not uncommon to get stuck never buying as it may always seem like there is a lower price ahead only to miss the price bottoming out and then see it move higher. Having some technical indicators to pre determine your buying levels can eliminate or at least reduce this “analysis paralysis”. Is Gold and Silver Technical Analysis of Any Use if Markets are Manipulated? There has been a good deal of evidence unearthed documenting manipulation of the gold and silver markets. So if a market is manipulated is it worth carrying out technical analysis? Why bother with technical analysis if gold and silver are manipulated? But in a nutshell we still say yes it is. While enough people still follow them we reckon it is worth keeping an eye on technical indicators when looking at when to make a purchase of gold or silver. As while not all buyers and sellers may be “rational”, many are. So many are still looking at charts and taking note of support levels, MACD’s, RSI’s and moving averages in making decisions on buying and selling. So if plenty of people are still following these indicators, the indicators still likely have some value. On top of this, it seems to us that those doing the manipulating are perhaps only able to nudge the price in a certain direction but it still takes a good many other buyers or sellers to keep it going in that direction. So if these market participants are watching levels of support and resistance and other indicators, then you could again argue that it is also worth keeping an eye on them too. Particularly when it comes to trend changes. So we’d say there is still a use for technical analysis in gold and silver markets, as long as it’s not in isolation, and that you remain aware of its shortcomings. There are 3 commonly used charts when conducting technical analysis of gold and silver. A daily chart simply plots the closing price (i.e. the end of day price) every day. So in a chart covering a full year there will be 365 data points. A weekly chart plots the closing price every Friday. So in a year there will be 52 data points. Or in a 5 year chart like the one below 260 data points. While a monthly chart plots the closing price for the last day of every month. The weekly and monthly charts are useful for showing longer term changes in trend. As they remove the day to day “noise” in the price. The 8 year chart above shows the price has been rising since 2014. But generally we will uses daily charts more often when determining good buying zones. Where to Get Gold and Silver Technical Analysis Charts for Free? Our preferred site for getting technical analysis charts is stockcharts.com. They have a free option as well as a paid option if you’d like to save your favourite charts. Why Do We Use the Gold and Silver Prices in New Zealand Dollars? Because if you’re a New Zealand resident you will buy in New Zealand dollars. So it makes sense to track the gold and silver price in the currency you will buy in. You can also view live charts of gold and silver prices on our Live Charts page. The options for indicators to use in performing gold and silver technical analysis is just about unlimited. You could easily get lost in a quagmire of analysis! But here are a few of our favourites. They are also probably those that are the easiest to understand. A trendline is perhaps one of the simplest and most commonly used technical analysis indicators. It simply connects points on a chart to indicate a rising or falling price trend. Often the price will bounce off a trendline, thereby making this a good time to buy (for a rising trendline) or to sell (for a declining trendline). The trend line in the chart below shows the NZD gold price has been in a rising trend for the past few years. Each time the price fell to touch the trend line proved a good time to buy. Horizontal support and resistance lines function in much the same way as a trendline does. Means the price finds the “support of buyers” at this level and therefore has bounced higher. This price now becomes a line of support where we might expect the price to bounce higher if it were to reach it again. Is just the opposite. Buyers were not prepared to buy at this level and so the price fell. It might now act as a “resistance level” and will take an increase in buyers to break through this level. A moving average line is another indicator that helps show trends in play. They can also show areas where the price might find support or resistance (as explained above). We prefer to use the 50 day and 200 day moving averages in our charts. See the blue and red lines below. There are 2 common ways the 50 and 200 day moving averages (MA) can be used. The 200 day moving average is a useful indicator of a long term trend in place. So when the price is above the 200 day MA line we can say gold or silver is in a rising or bull market. The price will therefore often find “support” (as explained earlier) and bounce higher off the 200 day MA. When the 50 day MA cross above the 200 day MA (as it did in late 2009 in the chart below), this is often an indicator of a change in trend to a rising price. Conversely when the 50 day MA crosses below the 200 day MA (as it did in March 2012 below), then this is often indicative of a change in trend to a falling price. Bollinger bands have nothing to do with champagne! We guess unless they help you buy at a good time and you want to celebrate with some bubbly! They were created by a guy by the name of John Bollinger. We won’t get into the technicalities of how they are calculated and what they mean, other than to say they are a measure of volatility. See here for more details if you’d like. We like to use the Bollinger bands in combination with the Relative Strength Index (see below) to help identify when gold and silver are overbought or oversold. The Relative Strength Index is one of our favourite gold and silver technical analysis indicators to use. When the RSI indicator is below 30, the price of gold or silver is getting oversold. Therefore it’s likely the price will bounce higher before too long. The Relative Strength Indicator (RSI) is shown at the bottom of the below chart. You can clearly see the 2 times the RSI got oversold below 30 was a good time to buy gold, as the price moved higher soon after. The Moving Average Convergence Divergence (MACD) is often referred to as the Mac-D.
Again like many of these technical indicators there are many ways the MACD can be used to get buying and selling signals. In the chart below when the MACD line (black line) fell below the signal line (red line) around Sept 11 (marked with a red circle) this was a bearish signal that prices may fall. Conversely around July 17 the MACD line crossed above the signal line (marked with a green circle), this was a sign prices were due to head higher. If you’d like a more detailed look at this indicator then please check out this article of ours: What is the MACD indicator? Gold and Silver Technical Analysis: What Should You Do Next? Technical analysis is a huge subject. But we think it’s worth spending a little time to at least familiarise yourself with the basic indicators we’ve outlined above. As doing so will likely help you buy gold and silver at better price points. Also go and sign up for our daily price alerts. We include some basic technical analysis in these every week day. So most of the work is already done for you there. But now having read this post on basic gold and silver technical analysis, you should find it a lot easier to follow what we’re saying in our daily and weekly emails. This will help you get a better entry point when buying gold and silver. If you’re looking to sell it will also help you better time your exit. So that will give you the basics. 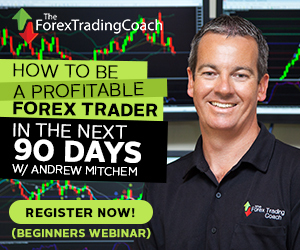 But if you’re after some really serious technical analysis knowledge, then we’d recommend you check out our friend and fellow Kiwi Andrew Mitchem, the Forex Trading Coach. Checkout the webinar below which he did specifically for our clients with a focus on gold and silver technical analysis. His course will enable you to actively trade forex. But he also regularly covers gold and silver as part of his currency analysis. You can see exactly what Andrew’s Forex course covers here. This entry was posted in New Zealand Articles, When to Buy Gold and Silver and tagged Gold and Silver, gold price charts, silver price charts. Are Gold And Silver Bottoming? Pingback: Gold and Silver Technical Indicators Flash "Buy"
Pingback: Trend Change: USD Weakening from Here? Impact on NZD Gold and Silver? Pingback: Good Time to Sell NZ Shares and Buy Gold or Silver? Pingback: How Much Further Might Gold Fall - What About in NZ Dollars? Pingback: How Much Further Could Gold in NZD Fall?